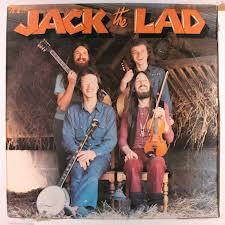 From 1973, and originally issued on Charisma Records, this was the first of four albums by Jack the Lad, a spin-off involving past and future members of the British band Lindisfarne (see the first entry in this blog). The CD I have contains two additional tracks (the A and B sides of the first single) and is on Virgin (CASCD1085). I have immensely affectionate memories of this band – indeed, subconsciously, I rather suspect that their roots in England’s north east influenced my application to attend a university in the same region, and led to the three years I spent in Durham! Jack the Lad was a stonkingly entertaining, good-time, live band and they toured regularly from their formation which coincided with when my parents started allowing me to go to gigs with friends! I must have seen them six or seven times before I went to university. I can remember at one gig in High Wycombe, but the majority of these occasions were at Friars in Aylesbury, Buckinghamshire. For a few years, this 800-capacity club had a good claim to have been one of the hottest venues in the UK – with an inspired, eclectic and open-minded booking policy (see the history on the legacy website http://www.aylesburyfriars.co.uk ). Anyway. In 1973, Lindisfarne had split up after their brilliantly successful second album (Fog on the Tyne) had not been matched by their third (the under-rated but disappointing Dingley Dell). The way this played out was that the band’s two front-men kept the name but that other three members (Rod Clements, Ray Laidlaw and Simon Cowe) stayed on the same label with their new project (adding Billy Mitchell from Newcastle folk band, The Callies). Confusingly, all five of the ‘original’ Lindisfarne later re-united while Mitchell himself joined later incarnations of the parent band. Despite the album cover which, with its banjo and fiddle, rather gave the impression that they were a country outfit (the band itself was said to prefer the back cover! ), the sound is a mixture of sixties beat group crossed with electric British folk (with Mitchell’s banjo and Cowe’s mandolin giving it a lighter sound than the guitar-driven Fairport Convention of the same period). It’s not a great album by any means – indeed one track (‘Rosalee’) is naff but half of it is very good indeed. Bassist Rod Clements is a strong writer (hey, he’d written Lindisfarne’s first hit ‘Meet Me On The Corner‘) and he contributes some good tracks including ‘Fast Lane Driver’ and ‘One More Dance’) but it’s some of Billy Mitchell’s that carry the album (‘Promised Land’ and the gentle ‘Turning into WInter’ especially). Maddy Prior, vocalist from Steeleye Span guests on ‘Song Without A Band’ but the folkiest track – and the one I play most often is ‘A Corny Pastiche ‘a medley of five traditional instrumentals. The album never troubled the charts but many people who went to live music in the pre-punk seventies will raise a glass to memories of Jack the Lad. This is the album which gives its name to this blog! It came out in the UK in 1970 on the Charisma label (also home to a lot of early Genesis recordings – and Monty Python’s Flying Circus too). 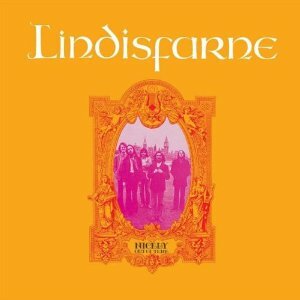 This was the debut album of Lindisfarne – a band from north east England. Like many people I actually bought their next album (Fog on the Tyne) before this because it had the band’s first hit single on it. Having heard that though, I was keen to get my hands on their earlier effort because their second single hit (‘Lady Eleanor’) was from this recording which belatedly got into the charts and which also contains two of the band’s other classics (‘Clear White Light part 2′ and ‘We Can Swing Together’). All three of these tracks by Lindisfarne’s main songwriter, Alan Hull who died tragically young. The overall feel of Nicely out of Tune is folky-bluesy, good-time music with a few more introspective slower numbers. I also think this was the first album I bought which contained a Woody Guthrie track (‘Jackhammer Blues’). I haven’t yet got round to getting this on CD (largely because the key tracks have been anthologised repeatedly). The title was, reputedly, chosen by the band on the basis that they saw themselves as ‘nicely out of tune’ with the London-centric sound of the times – and I’ve pinched it because my own music collection is both eclectic and focused well away from the majority of current commercial recordings.